PEBBLE BEACH, Calif. – May 19, 2017 – The Automotive Fine Arts Society (AFAS) will return to beautiful Pebble Beach, California with an exhibit of stunning artwork as part of the Pebble Beach Concours d’Elegance®. Sponsored by The Lincoln Motor Company, the AFAS show will take place on Sunday, August 20 beside the 18th fairway of Pebble Beach Golf Links® and showcase the latest creations by some of the world’s most talented artists. Held each August, the Pebble Beach Concours d’Elegance has earned a reputation for being one of the finest exhibitions of show cars in the world. Held each August on the 18th fairway, the Pebble Beach Concours features rare and antique automobiles that attract collectors, historians and automotive enthusiast from around the globe. 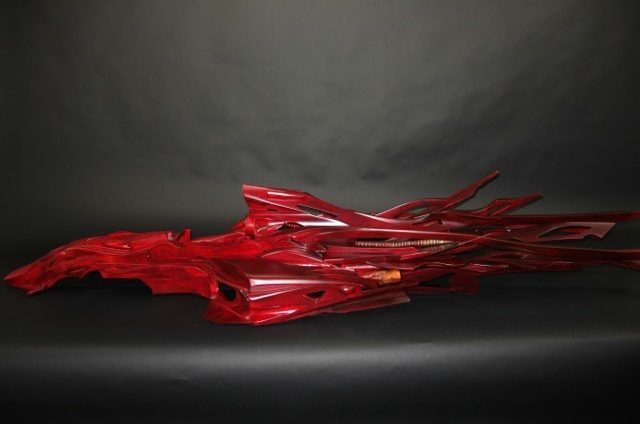 One of the art pieces scheduled to be displayed at this year’s show is Dennis Hoyt’s newest work, entitled “Redd”. This is the first venture into a new artistic direction for Hoyt, which he describes as a blend of cubism and futurism, two genres made popular by Picasso and Georges Braque. The AFAS exhibit will take place from 9 a.m. to 4:30 p.m. Preceding the Sunday show, AFAS will also host an exclusive invitation-only reception sponsored by The Lincoln Motor Company on Saturday, August 19. This reception has become a popular hotspot for celebrities, art collectors and auto industry leaders to preview the latest AFAS pieces. Created in 1983 by six artists the society made its first appearance as a group at the 1986 Pebble Beach Concours d’ Elegance. Still very much involved with the Pebble Beach Concours d’ Elegance, AFAS is comprised of more than 25 incredible artists who continually create innovative and stunning pieces of automotive art. Pebble Beach®, Pebble Beach Resorts®, Pebble Beach Golf Links®, Pebble Beach Concours d’Elegance®, and Pebble Beach Tour d’Elegance®, are trademarks, service marks and trade dress of Pebble Beach Company. All rights reserved.